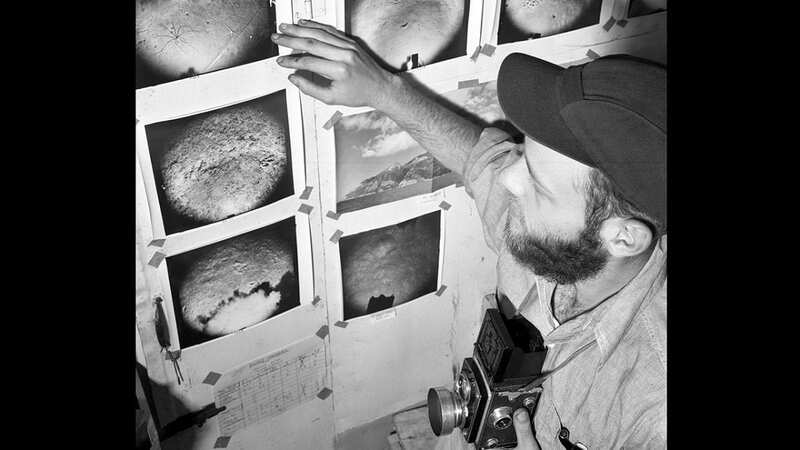 In the 1940s, WHOI research associate Dave Owen developed an interest in deep-sea photography—then a field in its infancy—early in his career at WHOI. During a cruise to the Mediterranean and Aegean Seas aboard R/V Atlantis in 1947, he was assigned a Ewing deep-sea camera to take flash photos of the sea floor and captured what was then deepest photograph of the sea floor. At 18,000 feet, it was a record that stood for years. The photo was later published in Life magazine.